Smart, sophisticated with all the thrills of banging about in the bush. The eight colonial rooms are outrageously extravagant (antiques, canopies, king-sized beds, Victorian baths) and the food is incredible. 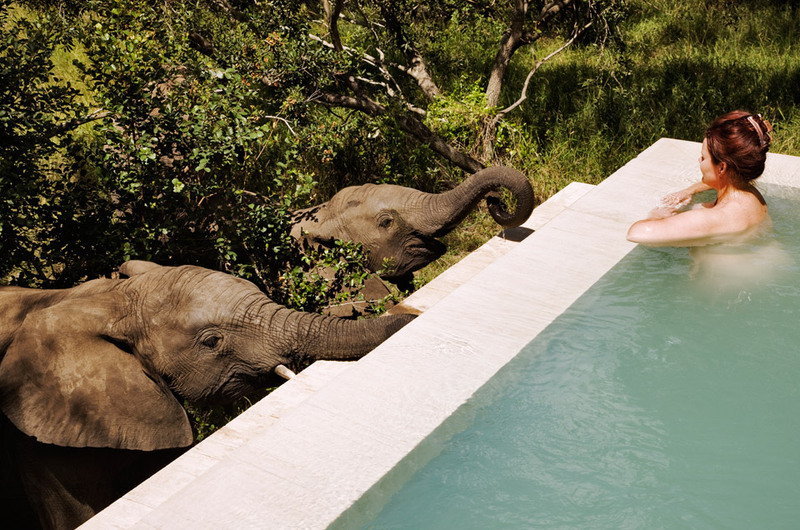 Amid all the splendour is one of the most stylish spas in on this vast continent. 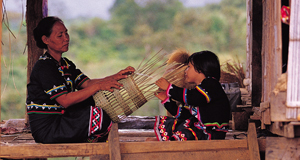 African rituals restore your equilibrium; hydrotherapy treatments use the mineral-rich waters from an underground stream and the local healers offer powerfully holistic and recharging therapies. This really is the big cat’s whiskers of a spa! The spa-without-walls is located in a lagoon's edge cottage and open-to-the air treatment rooms and is a sanctuary for massage, salt scrubs, skin brightening facials, herbal wraps, and energy work. Built into the natural landscape, guests can kayak or swim through the lagoon to arrive at the spa and enjoy sunset yoga at the end of the day. Amid the seclusion and the luxury, Blackwell’s triumph here is that you never feel cut off from real life – a wander into the nearby village of Oracabessa is as every bit as languorous and pleasurable as an afternoon snorkel in that twinkling lagoon. 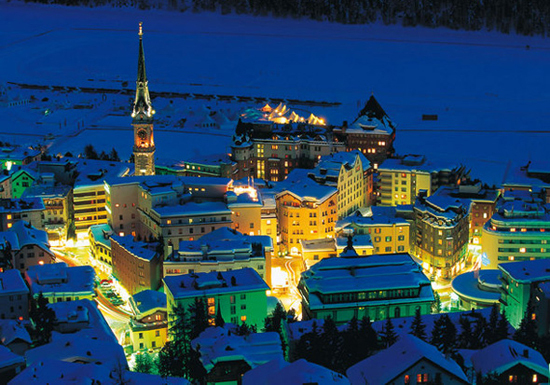 Palace Wellness is a unique refuge which takes its inspiration from the wonderful natural surroundings of the Engadin Valley. It is seen and felt in every corner – from the vast amount of natural light, fresh air and spectacular views of the Swiss Alps to the patio under the sky, the so-called Alpine Garden. Its very openness to the elements captures the changing seasons. The spa offers therapeutic luxury treatments to the latest in fitness equipment, complete Palace spa/wet zone facilities, indoor and outdoor pool with breath-taking views and connects with an unspoiled nature – all designed to stimulate your senses and enhance your state of wellbeing. This is a spa that’s thinking out of the box. 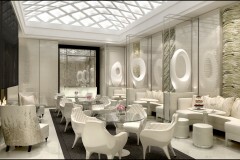 There’s nothing square about ESPA’s new signature spa housed over four floors of The Cornithia Hotel in London. Circular treatment rooms, cosy cocoons, curved corridors all mark the era of a new spa experience in the new ESPA Life. The smooth lines of this spa are evident the moment you walk into the spacious reception area where the cool Tunisian white marble and silver tables are offset with a shot of vibrant purple from the flowers. There are 17 luxurious treatment pods but the spa also boasts a nail studio, Daniel Galvin hair studio, nine-metre silver steel swimming pool, amphitheatre sauna, black mosaic steam room and a state-of-the-art gym. A jewellery box is even provided in the changing rooms for your diamond necklaces, earrings and rings. What more could you ask for in the heart of London? Fifty years ago, Rome Cavalieri opened its doors and became one of the Eternal City’s most luxurious spa hotels. 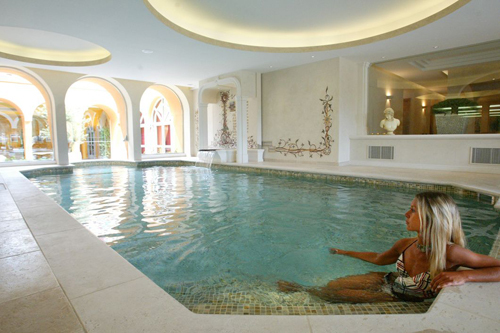 The spa takes its inspiration from the great tradition of Roman baths which is evident when seeing the indoor Winter Pool which baths in golden light shining in from the beautiful glass dome roof. The fitting centrepiece to this spa is the spectacular Brazilian amethyst Turkish Bath which, at first, may not seem entirely appropriate. But historically the Turkish hammams are actually the descendants of the traditional Imperial Roman baths. 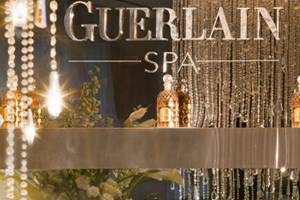 Like a pearl poised inside a Fabergé egg, New York’s recently re-opened Guerlain Spa sits serenely on the 19th floor of the palatial Waldorf Astoria Hotel, waiting to restore you. For this is right in among the hustle of the Big Apple, the shopping meccas of 5th Avenue and Madison Avenue. The hotel’s wood-panelled lifts whisk you up and away from the busy, buzzy streets, into the intricate grandeur of the lobby, and release you into a totally different ambience – cool, cream and silver, sparkling. The pale palette is accentuated by huge Swarowski crystals creating dazzling drop-curtain and light compositions. Each treatment room is a five-star suite gently lit with fat golden candles and complete with a fully-appointed bathroom and the finishing touch of a purple orchid lying on the head rest. Where else could you wake to an empty horizon from your over-water bungalow before indulging in a host of Asian-inspired treatments including massage, emotionally rebalancing holistic techniques, facials for restorative skincare and authentic Ayurvedic therapies. The Javanese Royal Lulur Bath is the ultimate beauty ritual which begins with an Indonesian massage. A body scrub with aromatic mixed spices precedes the application of cooling yoghurt and a flower-filled bath. Cocoa Island itself is a small, private island surrounded by the rich, warm waters of the Indian Ocean boasting bountiful coral and a promise of the world's best beaches, snorkelling, diving and spas. What more could you ask for? 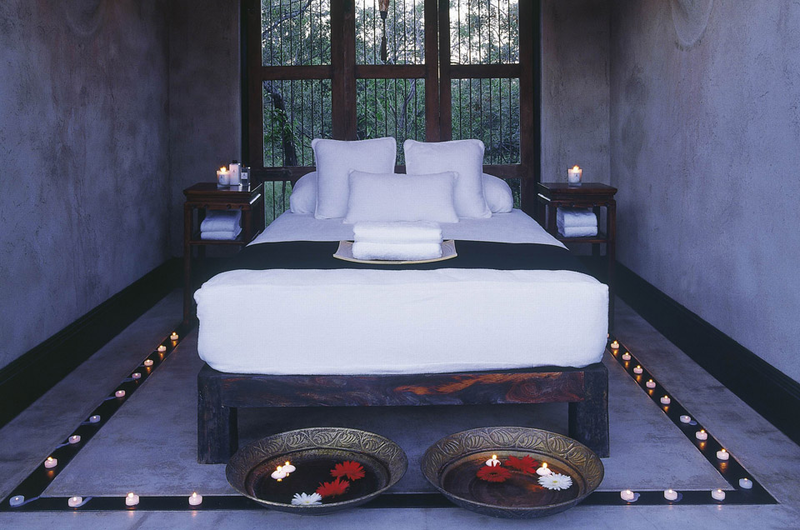 Honeymooners’ or holidaymakers will both find solace in the idyllic Banyan Tree Spa. This lush tropical forest setting will soothe your senses and ease away the stresses and strains of modern life. Against the backdrop of majestic granite mountains facing the deep azure Indian Ocean, relaxation comes easily in the luxurious hillside pavilions. The therapists’ grace, attentiveness to detail and instinctive sensitivity sets the Banyan Tree Spa apart from the rest as they are given formal training at Banyan Tree Spa Academies. Signature treatments include the innovative rain mist experience which is an indulging combination of mist, steam bath and rain shower designed to uplift the senses. ‘Luxe, calme et volupte’ – or luxury, tranquillity and voluptuousness – is a much quoted maxim and could be used to describe the imposing hotel that is the Chateau de la Messadiere in St Tropez. Perched on a hillside with fabulous views and surrounded by carefully manicured gardens, the hotel offers luxury, peace and beauty for international travellers and jet-set visitors to St Tropez. No wonder. The hotel provides the sort of discreet service and intuitive details those accustomed to five star properties and a luxury lifestyle crave. And the spa is no different. ‘Ooh la la! A new wellness oasis has opened in the heart of the French capital. Located in what were originally the stables of Prince Roland Bonaparte’s hôtel particulier, Shangri-La Hotel, Paris’s new retreat includes fitness facilities, a pool with an outdoor terrace and a beauty treatment centre. From the mezzanine, visitors can access the en-suite treatment rooms, each outfitted with a private hammam shower and vanity table. 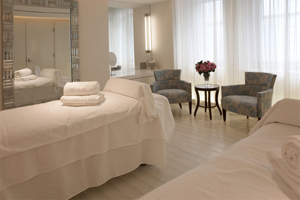 A beauty treatment menu offers a curated selection of five facials and five body treatments by Carita. Access is available for non-resident guests with special treatment packages. The treatment menu features two of Carita’s best-known products - the ultra-nourishing dry oil Beauty Fluid 14 and the regenerating Renovateur, both of which have enjoyed a cult following since the Carita sisters created them in 1956. 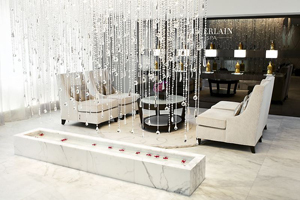 With a pedigree of more than half a century it’s not surprising you will receive a crème de la crème treatment aptly applied in the heart of Paris.